I've been reading a most fascinating book. It's called Learning from Leonardo by Fritjof Capra. In this book, Capra draws upon his intimate knowledge of Leonardo da Vinci's personal notebooks to demonstrate the sheer genius of da Vinci's scientific achievements. 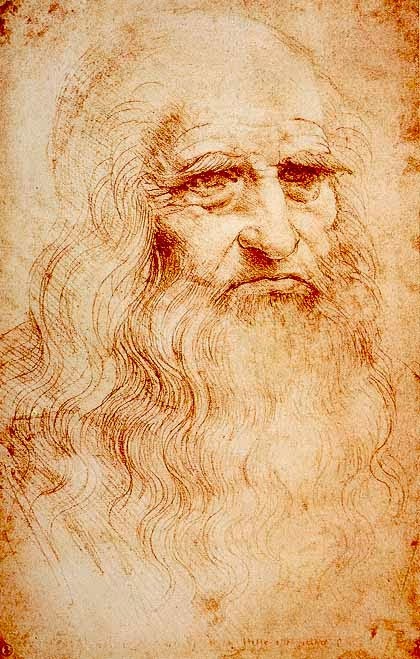 Truly, in nearly every conceivable field of study, Leonardo da Vinci was a jaw-dropping genius. As I was reading, my attention was immediately drawn to a quote by da Vinci: "Qui non estima la vita non la merita." "One who does not respect life does not deserve it." I've thought a lot about that little quote. I thought about how eight years ago, I was so miserable and depressed. In the days leading up to my suicide attempt, I felt like my life had been completely drained of color. I felt like life was pointless, painful, and demeaning. I didn't respect the life I had been given and I failed to see the abundance of life that surrounded me. In contrast, Leonardo clearly respected not only his own life, but the lives of others and the abundance of life that surrounded him. Perhaps it was this respect, curiosity, and love for life that made his own life so abundant. Since recovering from my suicide attempt, I've learned the joy that comes from learning to love life. Food tastes better, hobbies are more enjoyable, the seasons are more beautiful, and my family and friends mean more to me than ever. As I've learned to love life, my life has been more fulfilling. Life gives more to those who love life.